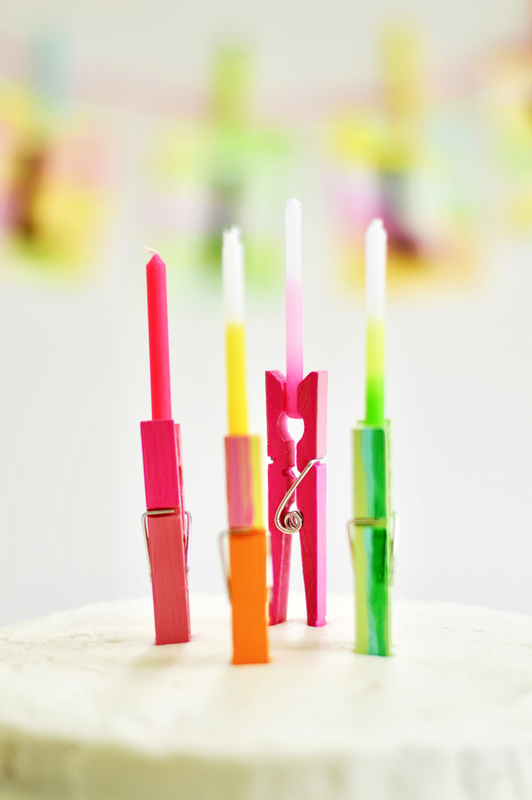 Sometimes the most basic household items can do double duty, and transform themselves into festive party props… I love clothespins crafts, and inviting them to the party! ;) Not only are they really pretty when painted, but it’s nice to skip a trip to the party store every once in awhile… am I right? 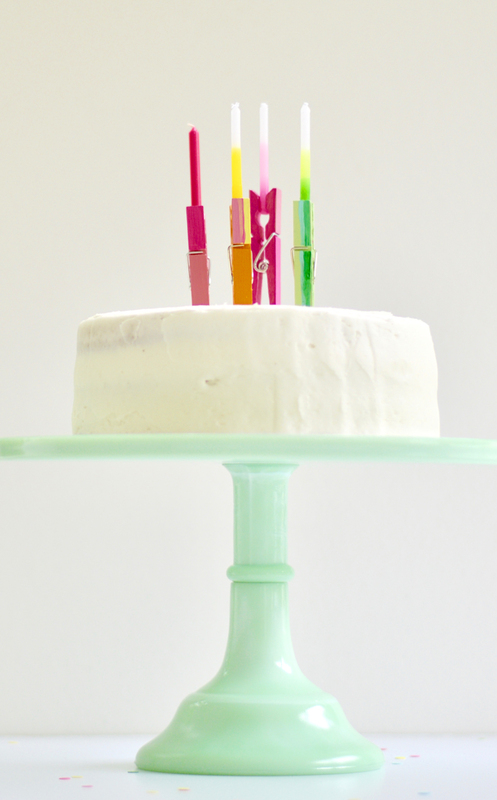 A package of ho-hum clothes pins can brighten up everything from a laundry line to a cake with just a bit of paint. 1. Take the wire spring out of the clothespins, set aside. 2. Begin painting the clothespins… it will take a few sessions to cover all sides of the wood. The craft paint dries quickly, so it is okay to leave the paint out and come back to the project after 15 minutes or so. Depending on the colors used, more than one coat may be necessary. 3. Once the base coat is complete, and dry, it is time to decorate, if desired. 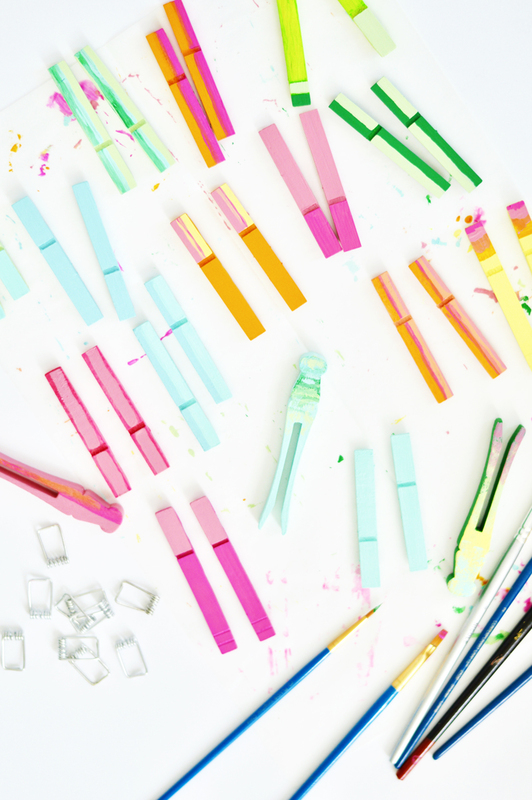 To make dots, dip the end of the paintbrush without the brush in the paint and stamp on the clothespins. 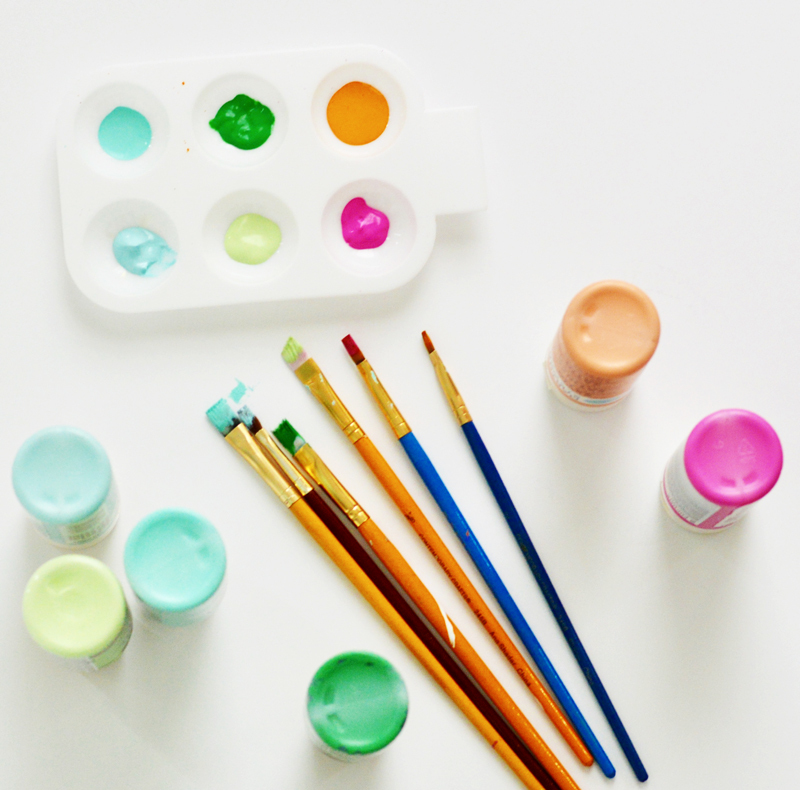 To achieve a watercolor effect, mix paint on the paintbrush and lightly brush on. 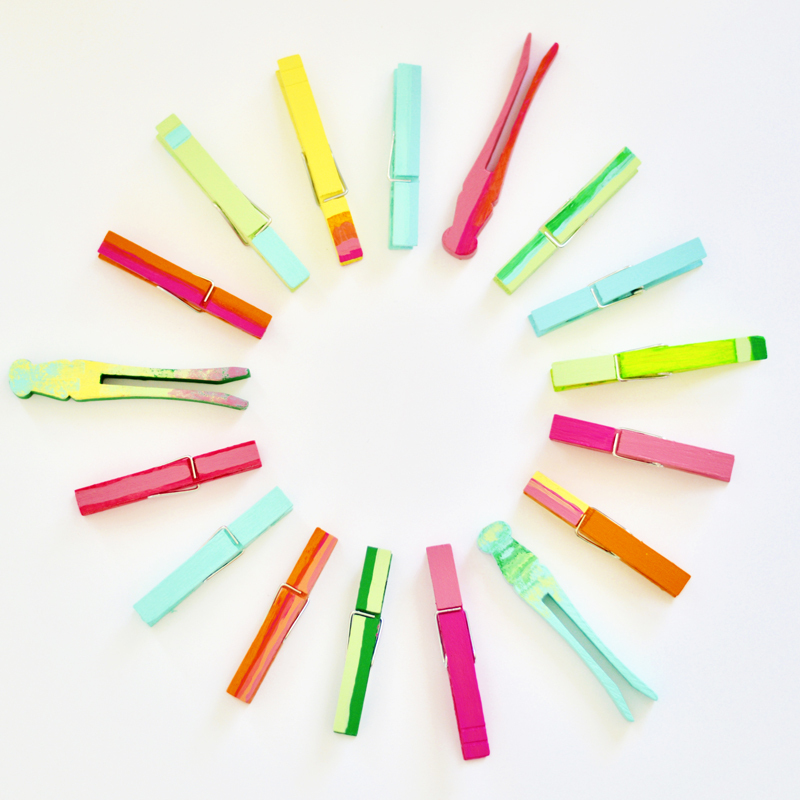 If using the clothespins for party favors, write the names on the clothespins with a paint pen. Colorblocking the clothespin looks great and very graphic. 4. 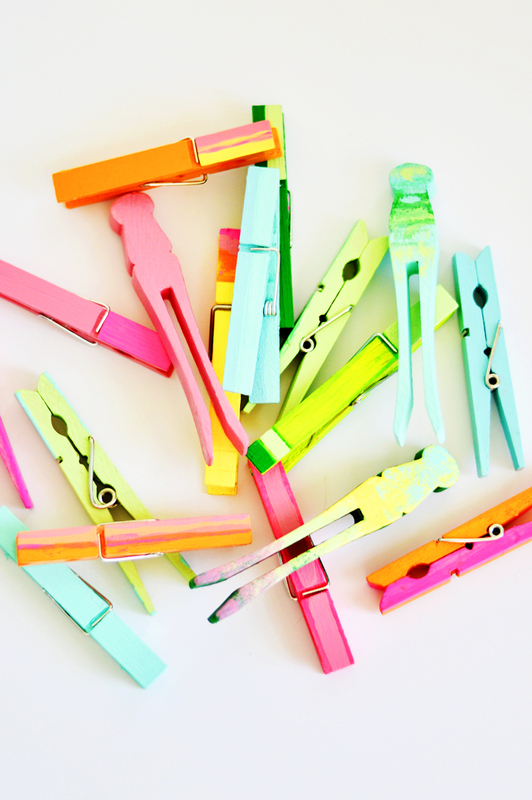 Once the clothespins have dried completely, brush on a coat of Mod Podge… this gives a beautiful sheen to the paint. Once dry, reassemble the clothespins. 5. 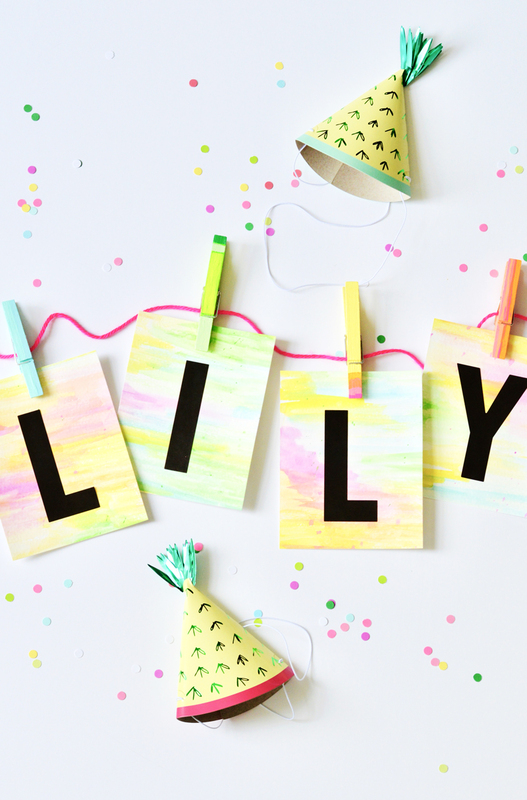 Bring on the party… use the clothespins to hang letters on a banner with the message of your choice (Taco Tuesday, anyone? 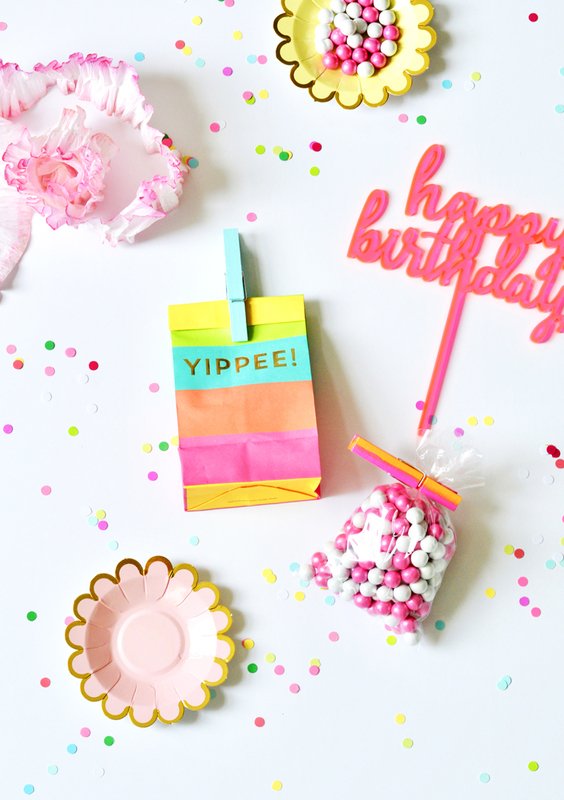 ), make modern candleholders for a fun birthday cake, use the clothespins for name tags on goody bags… so many festive uses! 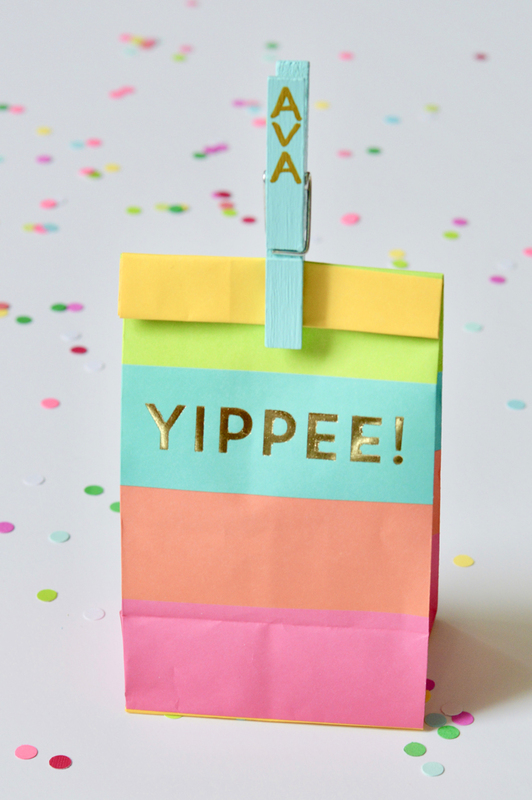 Best of all, save the clothespins for the next celebration, or use as the prettiest chip clips ever. 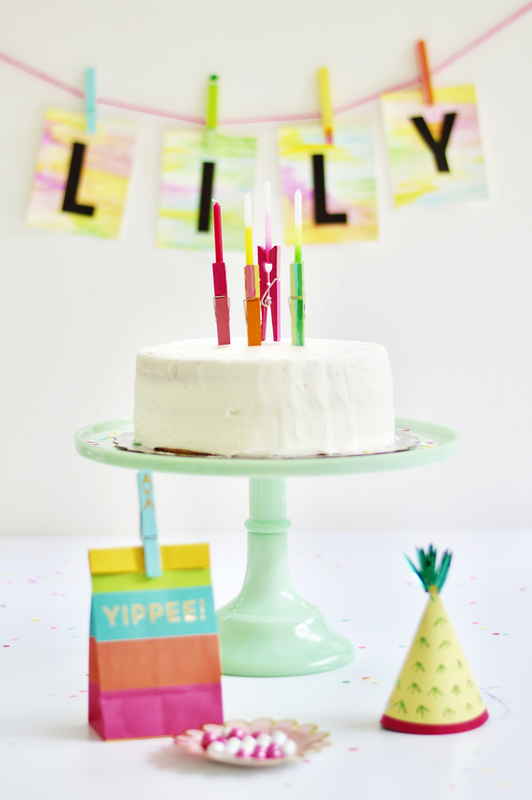 Late summer is all about the fun of creating bright + super easy projects for us. See more summer fun right here.